Leonardo AW139 A6-AWN, operated by Abu Dhabi Aviation (ADA), made a precautionary ditching off the coast of the UAE near Mubarraz Island on 29 April 2017. The aircraft (MSN41213, a long-nose 139 built in the US in 2009) capsized before salvage. This occurrence was subject to investigation by the Air Accident Investigation Sector (AAIS) of the UAE General Civil Aviation Authority (GCAA). Their final report was issued in January 2019. ….departed Abu Dhabi International Airport, with two flight crew members and five passengers, for Dhabi II oil rig, located 33 nautical miles (nm) off the coast of Abu Dhabi in the Arabian Gulf. Four passengers disembarked after arrival at Dhabi II at 1231 LT, and the Aircraft continued towards oil rig BUNDUQ, approximately 78 nm further north-west. One minute into the climb after departing from Dhabi II, the flight crew received a high oil temperature warning for the main rotor gearbox (MGB) at approximately 490 feet (ft). The observed oil temperature was 109°C, when the Commander discontinued the climb and selected to descend to 500 ft. This action was taken to reduce power and the load on the MGB and was advised in the quick reference handbook (QRH). The flight crew decided to divert to the closest heliport, on Mubarraz Island, 18 nm from Dhabi II. Because the oil temperature continued to increase, the Commander decided to descend to 200 ft in preparation for a possible ditching. While descending through 210 ft, and with an oil temperature of 119°C, the flight crew heard a loud grinding noise emanating from the gearbox area. The Commander…decided to ditch the Aircraft. The crew activated the [AeroSekur] aircraft flotation system prior to touchdown, and the inflated bags kept the Aircraft afloat during the evacuation of all occupants into the life raft, from where they were rescued by the coast guard. As the left aft float slowly deflated, the Aircraft started to tilt and capsize. The Operator provided annual practical safety and emergency procedure (SEP) training [which] featured warnings that flotation bags should not be deployed in-flight. 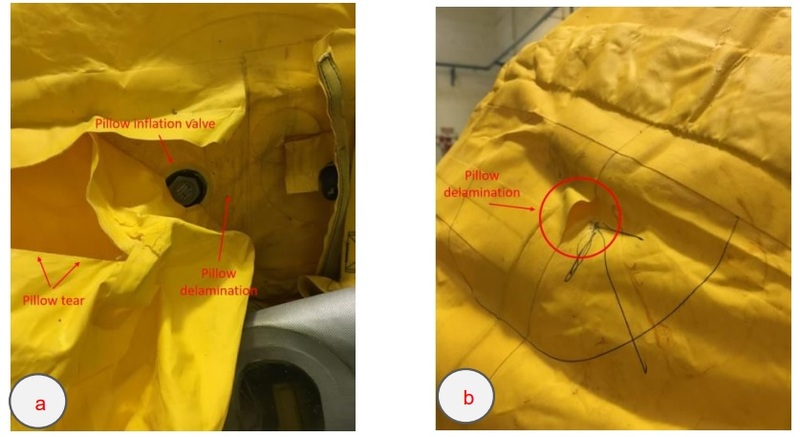 The failed aft left flotation bag displayed a tear in the vicinity of the composite cover remains, and delamination of seams near the pillow inflation valve and of the main chamber. 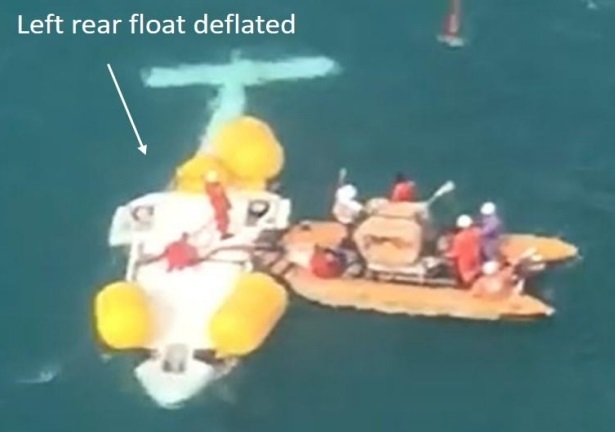 The tear was most likely caused by the in-flight activation of the flotation system, when the float cover fragmented due to the inflation of the flotation bag. An inspection of the Aircraft identified that the shear-bolts (attaching the upper edge of the float covers) had not sheared causing fracture of the composite covers leaving the remains attached to the Aircraft. The Aircraft manufacturer advised that this type of failure was evident during the certification process when the floats are deployed in-flight, resulting in a downward deployment instead of a sideway deployment of the flotation bags. The seam delamination on the flotation bag was probably caused by the rapid inflation of the flotation bag to operational pressure. This is supported by the Operator’s flotation bag reliability data, which indicated that a high number of flotation bags had failed the annual inflation test because of multiple defects, including seam delamination. This issue was known to the flotation bag manufacturer and was addressed by reducing the inflation test pressure. However, this action did not significantly reduce the failure rate. The flight crew activated the life raft handles, which were located near the cockpit doors. The Copilot did not experience any problems with the inflation of the raft, but the Commander’s raft did not deploy. Post-Accident testing of the raft system could not determine the cause of the failure to deploy, however, the activation handle housing was found loose and with significant play. It is therefore possible that while it appeared that the activation handle had been fully extracted, excessive play prevented the complete handle extraction and so prevented activation of the inflation valve and the deployment of the rafts. The cabin and the flight deck doors cannot be used as exits during a ditched landing as they may let water into the Aircraft and could damage the emergency flotation system during opening. The Copilot reported that when he pulled the left window panel as described in the emergency evacuation procedures, the window panel cracked in the area of the pull handle creating a hole in the panel. The Copilot was able to pull the panel inwards by using this hole as a holding point. The two flight deck window panels were not found during the recovery of the Aircraft, whereas the cabin window [through which the passenger escaped] was recovered. 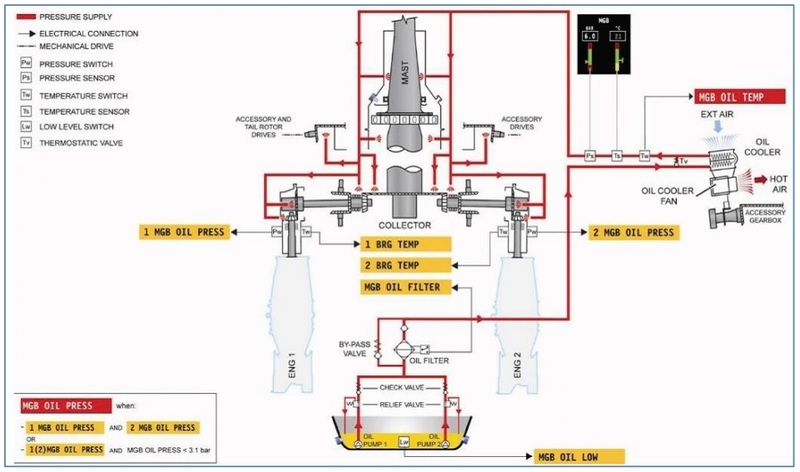 …leaving the water activated switch as the sole mechanism to achieve activation and deployment of the ADELT. The lack of saltwater evidence in the water activated switch cavity suggests that it had not been sufficiently submerged during the ditching, or that water was prevented from entering the switch for other reasons. It is possible that the inflation of the floats prior to ditching and the subsequent tilting of the Aircraft, prevented filling of the water activated switch and the activation of the ADELT. 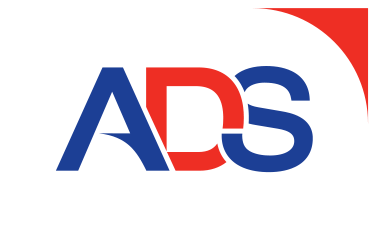 ADELTs have not had a stunning service experience as the UK Civil Aviation Authority (CAA) reported in CAP1144. In the case of the last AW139 ditching (B-MHJ in Hong Kong Harbour in 2010) the ADELT did activate. The Investigation further identified that the MGB oil temperature increased because the MGB oil cooling fan failed due to bearing damage, which resulted in the loss of airflow through the oil cooler. The MGB oil is cooled by ambient air from the top of the open gearbox fairing, which is forced through an oil cooler by the attached oil cooling fan. The cooling fan is encased in a housing as an assembly and is driven by a drive shaft from the accessory gearbox, which is attached to the MGB. The MGB oil cooling fan assembly was removed from the Aircraft and send to Leonardo Helicopters for a forensic examination. The manufacturer (Technofan) disassembled it in the presence of the IIC, ANSV, Leonardo Helicopters, and Technofan representatives. It was found that the fan shaft had lateral play of 5.3mm. The fan was not attached to the shaft and was touching the outer shroud. The left bearing was completely degraded, showing signs of overheating, with the inner bearing race physically expanding from 11mm to 18mm. The right shaft bearing was destroyed and, together with its seal package, extended from the housing by 4.8mm. The shaft thread was stripped and showed signs of extensive heating near the lower end. The balls and ball cages from both bearings were destroyed. The complete fragmentation of the top bearing created radial play of the fan shaft, allowing the fan to contact the housing and producing the grinding noise heard by the flight crew. This radial play also overloaded the drive shaft until it fractured at the designated shear point. The fan manufacturer’s 1997 bearing specification sheet lists a speed limit of 14,000 rpm for the lower fan bearing, while the fan operational speed is 16,000 rpm. The fan manufacturer justifies the selection of the bearing by referencing speed limits of 17,000 rpm, according to the bearing catalogue, which has since been revised [see report appendix 6]. The bearing manufacturer explained that the limiting speeds provided in their literature are theoretical values and should have required in-situ verification by the user. Of all fan assemblies received by the manufacturer, 23.3 percent required a repair prior to an overhaul and 43 percent of these assemblies were removed from service due to bearing problems. The Investigation believes that the fan manufacturer’s initial selection of the fan assembly bearings was based on assumed limiting speeds below the actual fan operating speeds, and that the failure rate indicates that the selected bearings are not appropriate for the required life, anticipated load, or rotational speed limit. The bearings are grease packed and have seal plates to protect the bearings from dust and to contain the lubricant. New and overhauled fan assemblies are issued by the fan manufacturer with a 5-year shelf life. However, the bearing manufacturer provided a 3-year shelf life for the bearings, only provided they are kept in their original packing and are stored in dry, moderate temperature conditions. The Investigation could not determine whether the storage and transport conditions of the fan assembly between the overhaul and the installation, had contributed to the bearing failure. However, the Investigation believes that uncontrolled transport and storage conditions may have a direct effect on the internal bearing lubricant. While installed Health and Usage Monitoring System (HUMS) monitors the transmission and the rotors, the MGB oil cooling fan is not monitored. Not surprisingly no adverse trend was therefore recorded. The MGB oil temperature started to rise when both crew members were focused on flying the approach and landing on the oil rig. This most likely explains why the high oil temperature went unnoticed and was also not identified during the subsequent takeoff two minutes later, when the Offshore Before Takeoff Checks were completed. In the final moments prior to ditching, the crew made decisions based on the procedures described in the quick reference handbook (QRH) and the Operator’s procedures manual when they diverted to the nearest heliport, and when the Commander decided to descend to a lower altitude to reduce power and reduce the load on the gearbox. The repeated attempts to communicate with Mubarraz Island, and the ongoing communication with the Operator’s operations department at a critical time, distracted the flight crew from troubleshooting the problem. The normal MGB oil pressure, and the lack of abnormal vibration were not considered by the flight crew to help them gain a better understanding of the situation. The international accidents literature contains details of historical helicopter accidents where an in-flight main gearbox failure has led to catastrophic consequences. The flight crew stated that their knowledge of such accidents had encouraged them to discuss the possibility of ditching before the Aircraft descended to 200 ft altitude. The sudden abnormal grinding noise that was heard from the vicinity of the main gearbox area triggered the crew response to ditch the Aircraft. The intent of the QRH is to provide the flight crew with procedures that can be implemented in time-critical situations, during emergencies or during system malfunctions. The Landing/Ditching procedure was contained in the Engine Failure Shutdown section of the emergency procedures. It described, in four steps, the handling of the Aircraft. The last step after touchdown provides information to initiate the Ditching Procedure in Supplement 9 of the rotorcraft flight manual (RFM), and includes 20 steps from pre-ditching checks to the evacuation. The Investigation believes that the QRH did not provide the flight crew with sufficient information to follow the critical steps necessary for a successful ditching in a time-critical situation. A warning in the QRH that the in-flight deployment of the flotation system may result in damaged flotation bags, could have led the flight crew to use the automatic deployment system during ditching. The reference to Supplement 9 of the RFM is only considered adequate for situations where sufficient time allows the flight crew to plan for ditching. ADA conducted a fleet check. No further cooling fan defects or degradation of the fan bearings were detected. ADA reduce the inspection interval in their approved maintenance program from 1,200 hours to 600 hours and initiated a review of flotation bag failures during maintenance. …introduced an over-water emergency scenario, conducted in the simulator, involving a power-on ditching and a check of all the required practical safety and emergency procedures. Leonardo Helicopters issued Service Bulletin SB 319-490 on 7 August 2017, calling up a visual inspection of un-installed cooling fans for evidence of fan shroud rubbing, a roughness check of the bearings, and application of a slip mark on the fan shaft nut. Cooling fans which are installed on aircraft also require carrying out a clearance check between the fan blades and the fan shroud. Additionally, a new maintenance task (63-47) was introduced to carry out an operational check for the clearance between the fan blades and the fan shroud. This check also includes a visual inspection for any signs of shroud rubbing and is scheduled every 600 hours. The requirements for the Maintenance Manual task 39-A-63-20-03-00A-310A-A were amended to include cleaning of the MGB oil cooler and fan, and inspection of the fan shaft nut’s slip mark, and were introduced by Service Bulletin SB 319-490. The interval for this task remained at 1,200 hours. Leonardo Helicopters revised the quick reference handbook to provide a new emergency procedure and additional notes for a high MGB OIL TEMP indication. GCAA SR02/2019: Ensure that the Operator review the effectiveness of their ditching procedure training to ensure that flight crew members apply appropriate procedures in an emergency situation. EASA SR03/2019: Ensure that Leonardo Helicopters, in association with the cooling fan manufacturer (Technofan), review the reliability of the MGB oil cooling fan assemblies, and the appropriate selection of the bearings for their application. 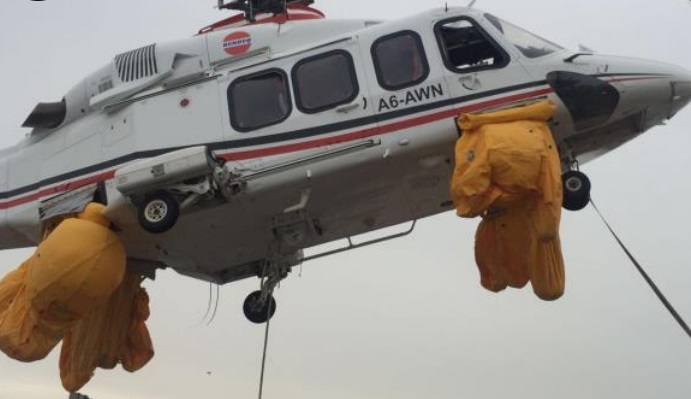 EASA SR04/2019: Ensure that Leonardo Helicopters review and assess the in-service reliability and service life limits of AW139 flotation bags to determine whether the flotation bag maintenance program is adequate. EASA SR05/2019 Ensure that Leonardo Helicopters review the design of the automatically deployable emergency locater transmitter (DELT) system, particularly the position of the water activated switch, to ensure that the system functions in a similar ditching scenario. 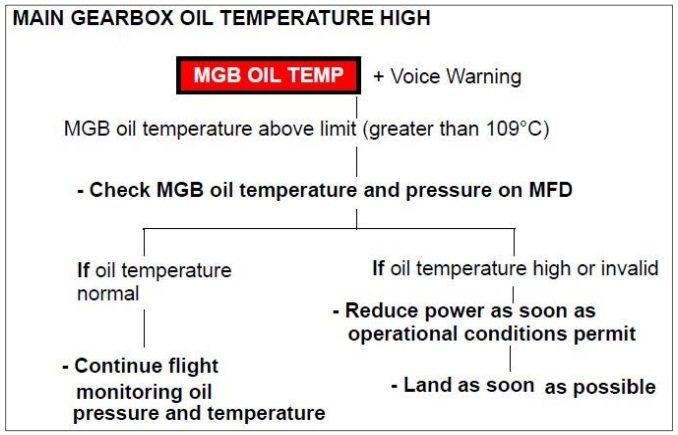 EASA SR06/2019: Ensure that Leonardo Helicopters review the main gearbox (MGB) oil temperature warning system with the aim of introducing a cautionary temperature range to alert the flight crew that the MGB oil temperature is rising toward a critical level. UPDATE 12 February 2019: The AIBN issue their final report on FOD and an AS350B3 Accident Landing on a Yacht in Bergen where the helicopter impacted the water in Bergen harbour.